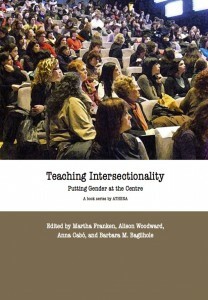 The concept of intersectionality is at the heart of debates about the future of equality policies in Europe. How do different identities interact and affect the opportunities for individuals and groups in society? Public policy used to focus on one or another aspect of equality, such as gender, sexual orientation or physical abilities. The question today is how ‘equality’ can be addressed while taking into account multiple identities and interlocking patterns of discrimination. The volume “Teaching Intersectionality: Putting Gender at the Centre” reviews recent discussions about intersectionality departing from the insights from gender studies. The aim is to provide students and policy makers with theoretical resources and practical policy examples to help understand these debates. Learning from the experience with gender equality policy and improving equality policy for all is a central concern. The book includes examples demonstrating how new European Union legislation is playing out in policy practice and invites readers to use the resources for research and training.